After six months of spending time with the community, listening, learning, and observing, we’ve formulated a plan for the future. We’re now ready to begin rebuilding Aikido Journal to best serve the community. This post outlines our vision for Aikido Journal, touches on elements of our high level strategy, and finally, outlines a short-term execution plan that reveals what’s coming next. We’re especially excited to share this with you, as the strategy was forged directly by the aikido community. The Aikido Journal community is unique. Tied together digitally, we transcend differences in geography, culture, political affiliation, and technical style. We are a self-selecting tribe of individuals united in our love and pursuit of aikido. Almost everyone in the community made it clear they want to improve – to make things better. 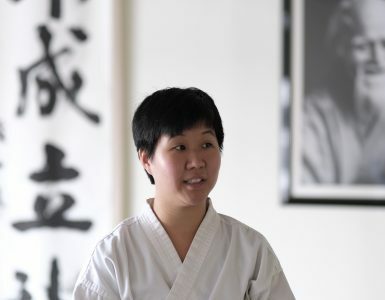 Whether you believe aikido is in a good place or that it needs to be revitalized in some way, almost everyone aspires to improve themselves and strengthen the art. There are many different visions for what this means and how it should be accomplished. Aikido Journal understands there are many viable paths that can lead us to elevate ourselves and the art of aikido. 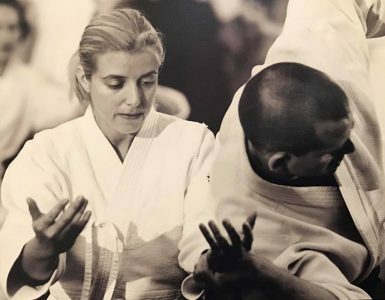 We believe that the many great teachers, practitioners, leaders, pioneers, and researchers of aikido should be empowered to best realize their own visions, efforts, and expressions of aikido, and to maximize the benefit of their work for others. Be rocket fuel that propels our individual and collective growth. We want to help empower students, instructors, dojos, and organizations to succeed and realize their own best expressions of aikido. Facilitate the flow of information so we can efficiently learn from each others’ mistakes and contribute our best ideas into others’ unique expressions of aikido. Tell the story of aikido in powerful ways. Aikido is beautiful, inspirational, and transformative. We want to create and share stories that reflect that in an authentic and impactful way. If we’re successful in these three priorities, we believe we can build stronger friendships, and both preserve and evolve the art of aikido in the most positive and meaningful way. Make all of Stan’s interviews and articles freely accessible to the community. We’ll release the 650+ that are now only available behind the member paywall. Get the entire video collection online and accessible on-demand via a streaming video service. Stan’s life’s work is now complete and we want to ensure everyone has the opportunity to benefit from it. I believe Stan would want this and that it has the potential to benefit and empower our community. Below we’ve outlined some details about the two initiatives we’re undertaking to make this happen. Blog articles: We’ll move over the journal’s public articles so they’re all available on the new site. Members Site Content: Before his passing, Stan told me that eventually he wanted all of his interviews with the great masters to be made available to everyone. After launching the new website, we will bring forward and publish these amazing interviews (now only found behind the members site paywall) for all to read. For those who are or have been subscribers of the Aikido Journal members site – we sincerely thank you for your support of the journal. Without you, Stan would not have been able to dedicate himself to his research and publishing efforts. The information and stories that can now more widely serve the aikido world couldn’t have been created without your support. 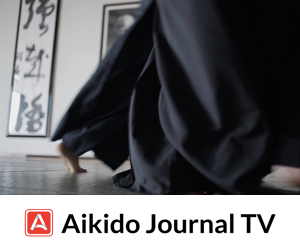 When we open up currently restricted members’ content, we will issue active members’ site subscribers a credit that can be used for AikidoJournal.TV or other future Aikido Journal products. We’ll outline the details as we get closer to launch. New Content: We will be seeking to expand coverage to include not only historical and technical information, but also stories of current leaders and practitioners in today’s world of aikido. We’ll continue to engage in a wider dialogue with the community about our art and how we can most positively impact our future. We’re putting together a content plan and are in the beginning stages of assembling team members and partners to support this effort. A Platform for New Tools: The new website will be built to accommodate future expansion. After getting our new foundation in place (website, on-demand video service, and core business operational functions), we’ll look to develop new tools and content that can serve the aikido world. Our ongoing dialogue with the community has led us to many ideas worthy of exploration and testing. We’re excited about this stuff, but don’t want to get too distracted by it now. Our top priority is getting Aikido Journal’s existing content library restructured and accessible, as well as building a sustainable team and production pipeline for creating new content. Until the new website is live, we will continue to use the Ikazuchi website to post news and articles. While we now have full access to the Aikido Journal websites, they have many interconnected systems and plug-ins that make use of them as a publishing platform for new content cumbersome. With limited resources, we believe it’s better to direct all of our efforts towards getting a new site online, instead of spending time untangling a set of systems that will be soon retired. Thank you for your understanding and patience. Aikido Journal has one of the world’s most extensive video collections of footage of the great masters of aikido. Over the years, well over 100 different products were created from material in the collection. In an effort to make these videos easily accessible to the community, we’re building AikidoJournal.TV, a streaming video service that will provide access to the journal’s complete video collection. When we surveyed the community about a month after Stan passed away, I was a bit startled to find that of the 1,000+ respondents, a vast majority told us they would prefer to access Aikido Journal videos on a subscription basis, with almost 90% indicating interest in a Netflix-style offering. It’s an easier project for us to build a new streaming video service from the ground up than it is to organize and migrate all of the journal’s written content to a new website. With limited resources, we believe it makes sense to tackle the easier project first. AikidoJournal.TV will provide us with a recurring revenue stream that will fuel the journal’s operations, including the extensive redesign of the website/blog, creation of new content, and development of other important initiatives that support our strategy. The sooner we can turn on a revenue stream, the faster we can move. The service will be subscription based and priced low enough to facilitate wide access to one the world’s most extensive library and media collections. 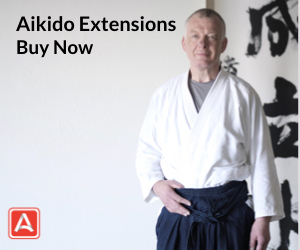 For those who have provided critical support for Aikido Journal in the past by purchasing video products, we plan to keep legacy streaming products online and available until we are able to provide you with an updated version of your product or issue a credit towards other Aikido Journal products and services. We’ll have more details on this after we’ve completed an assessment of the catalog of existing streaming products. For those of you who prefer to continue purchasing products in other form factors (buy videos, PPV, etc. ), we will be looking into making content available in other ways in the future. If there’s something you really want, please tell us about it. We believe reshaping the existing Aikido Journal content collection in this way will have the greatest impact for the community. It also establishes a robust and flexible content and product architecture as we enter a new phase in Aikido Journal’s life. It’s clear from our survey results that many in the community envisioned this as a great way to interact with the collection. I intuitively felt this was right, but I wanted to explore the idea more deeply. Immediately after seeing the survey results, I hacked together a clunky but functional system that gave me on-demand access to the full archive. I’ve effectively been beta testing a raw prototype for the last six months. I’ve found it to be a potent learning tool that allowed me to find answers, avoid mistakes, and build a deeper and more meaningful connection with the art. 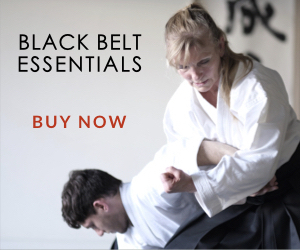 I’ve purchased Aikido Journal video products in the past and gone through some in detail. However, with access to the entire collection, I feel I gain exponentially greater value. I use it more often for shorter periods of time. I use it both to navigate fascinating paths of discovery and to find specific things quickly. For instance, if I’m having a problem with a technique, I can quickly look and see the varying approaches and solutions employed by Ueshiba, Saito, Nishio, Tohei, and many others. I can then get the answers I need (or at least a path to explore) and get back on the mat to test them. If I want to learn about a specific time period, teacher, style, or location, I can quickly find pointers that get me an answer and often find a fascinating story along the way. Sometimes, when I miss Stan, I’ll watch a few minutes of one of his lectures on my phone. AikidoJournal.TV: We plan to be online in 60 days. AikidoJournal.com: TBD. Ideally within 90 days, but we don’t yet know how difficult it will be to migrate over and organize all of the content from the member site and the blog. The only thing we’re certain about in regards to our strategy is that it’s wrong in some way. We also know we’ll encounter execution missteps along the way. We believe we need to commit to a strategy, start executing on that path, and then make informed changes and course corrections as we learn. We hope you’ll join us in our transformation and that you’ll help us steer the ship in the right direction. If you have any questions, feedback, or ideas you’d like to share about our strategy, content, and product plans, please join us on Sunday September 24th at 3pm PDT (UTC-7) on Facebook Live for a Q&A session. As always, we’d love to hear from you. We will always remember Stanley Pranin. I believe any improvement in Aikido will come from emphasis on the basics and principles. I don’t see a lot of that in the majority of Aikido videos on Youtube. I suggested to Stan a few months before he died, that he should add to his Aikido 2.0 videos the ability to slow down playback for closer study. He agreed that would be a terrific idea but wasn’t sure how to implement it. YouTube does this now, so it’s possible. I hope you will explore this; it will make the streaming subscription far more attractive! 1. Source video: If the source videos were shot in 30fps or with possibly even lower quality video (if from videotape or 8MM), slo-mo wouldn’t be clear enough to be valuable. Videos in the collection appear to span a range of resolutions and quality. Some would probably look fine in slo-mo but others would not. So I think you’re totally right about the value of being able to control playback speed for videos. It may or may not be something we can apply in a viable way with current content, but it’s most certainly something we will want to be able to do for new content where we have modern tools and can control the video capture, creation, and distribution process from end to end. These are very exciting news!!! This project is amazing and I know it will bring many good things and help the community grow and bring it together. Thanks for the effort and I put myself available to help in any way it’s needed. Once again thank you Josh for continuing Stan’s amazing and comprehensive work. The future looks bright! I’m positive you and the team will make good things out of this. Many of us are who we are in no small part due to the massive amount of information, interviews and media content collected and made available by Stan and aikidojournal. We all miss him but I feel positive about the future. Thanks for your dedication and efforts, and don’t be afraid of asking us for any help we can provide. I’m sure most will happily contribute. I know I will. Thanks for all your hard work and clear vision, Josh! Very exciting! Sounds like a plan! It will be great to see Stan’s legacy take flight to new heights. Standing by to help update and migrate data from the Bibliography section into the new framework! I was actually thinking of you when I wrote this post. After we get our new website and streaming service online, we’ll be thinking about how we can best integrate the bibliography into the new framework. I look forward to talking with you about that in the not too distant future. Josh, Thank you for the important role you play and your excellent leadership. We may very well be seeing the Renaissance of aikido toward true democratization and framing aikido in way that it can thrive beyond personalities and organizational boundaries. It’s been a while since we talked to each other. I just wanted to say that the work you are doing and the plans you are presenting for continuing Stan’s work with Aikido Journal is, in my heartfelt opinion, both amazing and inspiring. I’m also very happy to hear that you and Stan’s family have been working well together with plans to carry forward his legacy, in your own creative and professional way, while also coming up with a good arrangement to honor Stan’s family. You are a very honorable man! As you may or may not know, I have been without an Aikido home since Stan’s passing. Stan’s small and very private home dojo was all that I ever experienced of Aikido. Living with Stan in his home and being very close to him the last several years of his life gave me a very special experience that I will never forget. I’ve always loved the “do no harm” philosophy of Aikido, and Stan provided a pure, idealized teaching that focused heavily on this philosophy and O’ Sensei’s original style. Stan and I had many private conversations about Aikido history, styles and personalities. Many of his Aikido experiences and insights in addition to his personal and health issues were shared in private conversation with me. In the short three years that I knew Stan, he had become one of my closest friends. With that closeness we shared a lot of personal stories and challenges with each other. It was a very difficult time for me when Stan discovered the large tumor in his body and seeing how he was torn away from being able to continue doing the activities that he was so passionate about. This was a very unsettling time in my own life. I had a lot of respect and concern for Stan. Even writing this to you still brings me to tears. I’m sure Stan has been working from the other side to influence the decisions that have been made by you and his family concerning the future of Aikido Journal and all of the resources he had developed. It seems so to me anyway. I know he would give two thumbs up on your plans, including your responsiveness to the Aikido Journal community. Seeing your announcement and feeling excited at the potential ahead for the Aikido Journal community, and even feeling inspired once again about my own potential future in Aikido wherever that may be, I want to thank you from the bottom of my heart for all that you’re doing. I know it will be a challenge, but Stan put this task in your very capable hands. It’s so great to hear from you and thank you for your support. It means a great deal to me coming from you – not only because of my respect for you personally, but because of how well you knew Stan and what a good friend you were to him. I still vividly recall our conversations and the limited time we spent together during Stan’s health crisis and last days. I was so thankful for everything you did for Stan. You took action to come to his aid in every way you could, and you were there for him when he needed support. Stan was very fortunate to have you as a friend and student. I’m so happy you’re pleased with the direction for Aikido Journal. I hope I’ll be able to earn and validate the trust and support you and others in the community have offered. It’s a heavy responsibility but I’m prepared to undertake it as best I can. I’ll reach out to you soon. It would be great to talk again and catch up. This is a good omen, I think. Bridging the past with some of the best testimonies and visual exhibits of so many followers of O-Sensei. Thank you for doggedly pushing forward. I anticipate great resources forthcoming. They say the secret to immortality is to live a life that is worth remember. We look forward to continue our learn from Sensei Pranin. Deepest compliments and appreciation for keeping the forward momentum. Can you have a way of adding your dojo, list the day you practise and appear on a map. So travelling aikidoka can easily find a dojo. This sounds like a wonderful plan and I’m excited to see how it develops. I can tell the love that Pranin Sensei had for aikido is living on in good hands. Thank you. The idea of opening all of the interviews for the general public is a great noble idea which will give much needed information to the wider Aikido community across the globe. The AJ.tv is an excellent idea for a systematic representation of the video content and it’s invaluable information. What will become of other content such as the books that were available in pdf format, will they still be available for purchase at the new AJ.com site? It’s great to hear from you. Glad you think positively about our plan. That’s a very good question about the PDF books. I still need to look into the e-book product collection in more detail and think a bit about how we can fit them into our overall architecture. We’ll definitely make sure they’re available in some form but likely won’t have the opportunity to focus on this until we get the streaming service and new website online. I have purchased loads of special video lessons in the past. Does this mean I won’t have access to them any longer and that I will have to pay again to be able to have access to the new service? Nice to meet you here. As we mentioned in the post, for those that purchased video products in the past that have an online component, we plan on keeping those products online and available until we have a plan in place to transition your products to a new platform or give you some other alternative. We’ll have more news on this after we’ve performed a more detailed assessment of the set of products Aikido Journal sold in the past with online components. Thank you for your patience and support. Hi Josh, I sincerely wish you every success in continuing and building upon the legacy of the late Stanley Pranin Sensei … and very excited about the future of aikido journal and can’t wait for it to unfold. Josh, so immensely pleased that out of Stan’s death, this beautiful rebirth is happening. It would seem his trust was well placed. When the new platform has settled, I hope there is a continued AJ interest in Daito ryu, as it seems there is much to learn there, both from the historical examples and present exponents. Stan chose the right person to take over Aikido Journal, his life’s creation. Good luck with all plans you have made. The future of AJ looks exciting and if I can help in any way please reach out. Do you have a patreon.com page we can support you through and use to share your work? I use this platform to support creators and businesses I think are making a positive impact in the world and I would love to help spread the word! 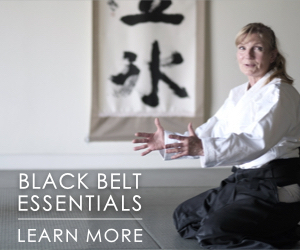 This will give you on-demand access to the Aikido Journal video collection and the subscription fees go directly towards supporting our future content creation efforts.